Got Back Pain? A Magniflex Mattress from Italy can help! Newly available in the U.S., Magniflex is the most productive mattress factory in the world under one roof, producing over 10,000 mattresses per day with production in their Florence, Italy based facility. Magniflex has been producing the world's most premier mattresses since 1962 and is the #1 mattress brand in Italy and Japan. Its popularity doesn't stop there as they are also one of the top 4 mattress brands in all of Europe. Current distribution from their facilities in Florence, Italy includes over 96 countries. It's very clear that folks certainly appreciate the Italian craftsmanship and back-healthy benefits of switching to a Magniflex mattress. 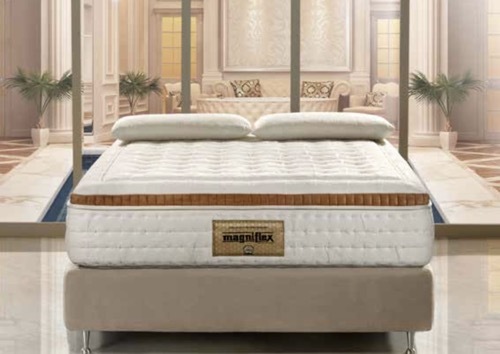 MagniStretch Mattress by Magniflex | Ships Free- On Sale Now!